Get trained and earn CMEs from leading experts in movement, performance, and rehabilitation. Nothing in the universe is static. Everything moves. The human body is no exception. Welcome to RockTape’s Functional Movement Techniques. Movement is key to all healing, regardless if you are working with an elite athlete or someone suffering from a car crash. Movement Pyramid – FMT Courses incorporate movement screening and rescreening as the basis for evaluating the quality of human movement before and after the techniques taught in the course. Evidence Informed – FMT Courses are built around the available scientific literature and clinical expertise of our instructors and certified healthcare and fitness professionals. Focus on Fascia – FMT Courses have a longitudinal muscle chain approach to understanding movement dysfunction and correction. Movement is the key to Learning – FMT Courses are action packed, so come prepared to be MOVED! The FMT Series certification courses are intended for healthcare professionals, therapists and trainers. CEUs may be offered for DC, ATC, PT, OT, LMT, DVM and personal trainers – depending on location and class type. Until now, choices were limited if you wanted to learn how to use kinesiology tape. You had to read a book or attend an expensive class that locked you into one way of applying tape. Not anymore. FMT kinesiology taping certifications (Basic, Performance, Special Populations and Equine) are led by industry leading experts in movement assessment and therapy. 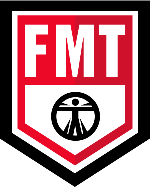 FMT certifications are based on the obvious yet largely overlooked concept of muscles acting as a chain. Say good-bye to agonizing over muscular origins and insertions and memorizing directions of tape. Say hello to a practical framework of ‘taping movement, not muscles’. FMT Blades is an 8Hr IASTM certification led by industry leading experts in movement assessment and therapy AND you get to keep the tools you use in the class. 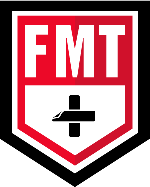 Learn more about FMT Blades and view classes in your area! FMT Basic is an evidence-informed kinesiology taping course that redefines our understanding of the effects of elastic therapeutic taping on pain mitigation, circulation and proprioception. 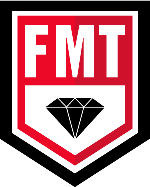 Learn more about FMT Basic and view classes in your area! This course expands on the concepts of movement therapy and performance enhancement via functional taping methods that are taught in FMT Basic. The anatomy and physiology of myofascial slings is covered. Movement assessment to determine dysfunction in specific slings and how to apply tape in a manner that improves movement and function is done in a workshop, hands-on environment. Corrective exercise techniques to address joint mobility and stability dysfunctions along these myofascial pathways are presented. Learn more about FMT Performance and view classes in your area! FMT Movability introduces the concept of movement therapy and performance enhancement to create simple and effective home care mobility and stability programs. This course will clarify the ‘ why’ behind using balls, bands, rollers, and tape to improve mobility and stability of the body using a joint-by-joint approach. By using movement assessment to determine planar dysfunction, participants will learn how to determine if the dysfunction is primarily a mobility or stability problem. 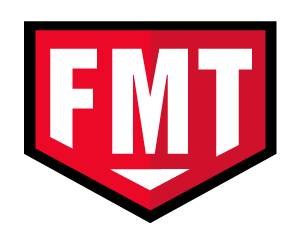 Learn more about FMT Movability and view classes in your area! This course introduces the concept of movement therapy and enhancement via functional taping methods with populations who require special circumstances. The populations include geriatric, pediatric and pregnant patient populations. The course includes a review of the current literature supporting the theory of kinesiology taping for the purposes of rehabilitation, edema/swelling management, neuropathic pain, scar and postural management for these populations. Learn more about FMT Special Populations and view classes in your area! Taping applications to maintain functionality and comfort in training and assist with recovery will be explored as a means to facilitating overall soundness in the equine athlete. Learn more about FMT Equine and view classes in your area! Although our FMT courses differ in scope and purpose, we base our training on four key principals. All courses incorporate screening movement as the basis for making changes with the techniques taught in the course. We only promote what has been clinically proven. The insert-to-origin method is interesting but the science does not back it up. What has been proven is that kinesiology tape helps promote lymphatic flow. Focus on Fascia with a longitudinal muscle chain approach to understanding movement. Movement and faults must be understood as part of a system. We don’t do anything like everyone else. We want our courses to be fun. When you’re having fun, you’re engaged – and when you’re engaged, you learn.